Once upon a time I prayed and asked God for a baby. My prayers were answered and I was blessed with the most amazing child. I remember holding my son for the very first time and staring in awe that something so perfect happened to me. He looked so fragile and my instinct was to protect him. No one was allowed to touch him without first dousing themselves in disinfectant, all his clothes were laundered in Dreft detergent, and he never left my sight unless it was absolutely necessary. It’s been ten years since I first laid eyes on my baby boy. My instinct is still to protect him, so when he came home and told me that he was being teased at school and that the popular boy told everyone not to sit with him at lunch, I instantly wanted to call the parents of the kids involved and give them a piece of my mind. I wanted to run to the school and demand why the hell they let this go on. My son was hurting and I wanted to stop his pain. Watching him cry broke my heart. He is too old for pacifiers now and he is well past the age of kissing the boo-boo to make the pain go away. For the first time I couldn’t soothe my child and I felt completely helpless. It was in that moment I realized I was no longer my son’s superhero. It wasn’t easy accepting the limitations of my mom powers, but doing so allowed me to give up the notion of being able to shield my children from all the hurts the world has in store for them. I could either cripple him by swooping in to save the day whenever he encountered obstacles, or I could arm him with the tools he would need to navigate the world on his own. I chose the latter. Boosting his self-esteem became my main priority. The best thing you can do for any child is to nurture their self-esteem. Children who think and feel positively about themselves can cope with the natural ups and downs of life without buckling under pressure. When your child knows who they are, they are less likely to allow others to define them. Of course my son didn’t want to sit down with me to be lectured about how he should ignore the kids at school when they said mean things. Let’s face it, although we would like to believe that ‘sticks and stones may break my bones but words will never hurt me’ that is pure rubbish. Words do hurt…and they can hurt for a LONG time. I decided to do an activity with my son that I did with my students in the past. We made a self-esteem shield and he loved it! My son is big into Nerf Guns and Nerf wars so it was easy to explain to him how armor protects people when they are engaged in battle. I told him that if he wanted to protect himself against the kids who teased him at school, he needed to have a shield to protect his feelings. I expressed to him that his shield are the positive thoughts and feelings he has about himself. We discussed all the things that make him special and important. Then we flipped through magazines to find pictures that represented how he felt about himself. We then cut a shield out of cardboard and decorated it with the pictures from the magazine. Pictured below is the end result of his hard work! 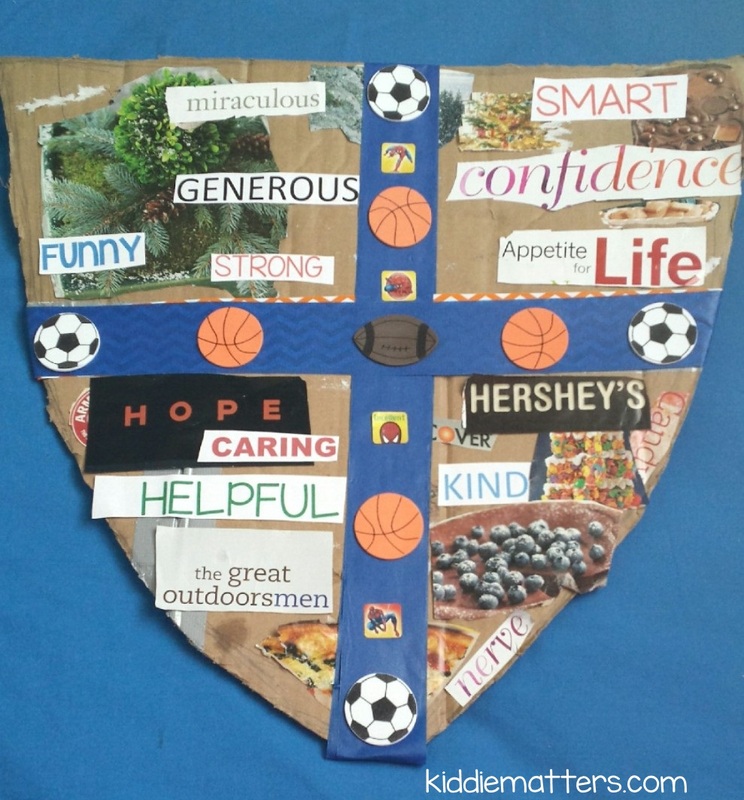 Working on the shield gave me the opportunity to see my son identify and own his strengths. This was definitely a proud mama moment. My husband and I always praise our children, but we never know if they internalize what we say or just brush it off as things moms and dads have to tell their kids. Seeing my son rattle off all the things that make him special showed me that he was listening to us, and more importantly, he believed what we were saying. My daughter wanted in on the fun too but isn’t really into shields. After talking to her about what makes her special, she and I made a self-esteem sun. We framed her sun and every day I read the affirmation rays to her. My six year old son is more into books so we worked on his Confident Me scrapbook. Each scrapbook page has a sentence completion box so the book is customized for him. We read the book together at bed time each night and it has made such a difference. My son struggles with school anxiety which interferes with his academic performance. 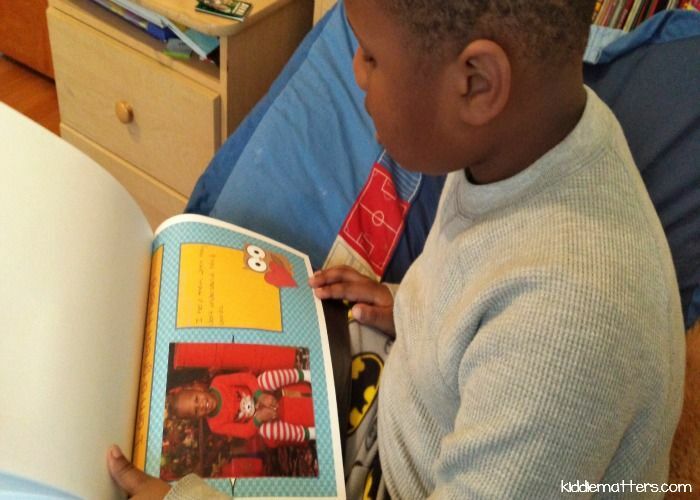 Since we started reading his Confident Me book, he is coming out of his shell more at school. He went from not speaking to talking to a few friends and raising his hand occasionally during class. Baby steps, but still quite an improvement. There are two things I know for sure. My kids won’t be kids forever and I can’t remove every obstacle from their lives. What I can do is provide them with the skills they need to best take care of themselves in those moments when I can’t do it for them. As my husband likes to remind me, we are not raising children, we are raising adults. What are some ways you boost your child’s self-esteem? Yanique, I just wanted to tell you this post is phenomenal! I come from a large family, one where my mother worked around the clock just keeping up with the basics for her children. I may not have the means to go back in time to have this be my experience, but it does my heart good to know you and your husband have created such a remarkable way to uplift and inspire your children and students to become stronger by loving themselves in their own unique way and then take that learning with them where ever they go. I wish you all the success in the world. Your children and students are very blessed to have you in their lives! Thanks for the kind words K’lee. We definitely try our best to build up our children and others around us. I once heard Maya Angelou say that whenever a child enters a room, make sure they know they are special and important. That message really stuck with me. It really is the little things that we do with our children that builds their character. All the best to you as well! This is great. This has always been one of my greatest fears. My son just started kindergarten and has told me about some really mean kids in his class. It breaks my heart that I can’t be there to take care of him but instead now I need to give him the proper tools to deal with that. I really like the self-esteem sun. Will definitely try that out. I agree with you. It’s the worst feeling to watch our little ones hurt and not be able to fix it for them. I hope your little guy’s experience with the “meanies” improves. Kindergarten can be so tough these days. I found you through the MommyAtoZ blog hop and am glad I did. This is a great post! 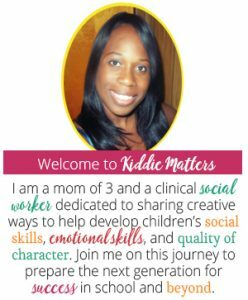 I love how you varied the ideas to give each child a self-esteem-booster that suited his or her personality and developmental level. Nice work! This is a great post, building self esteem is so important. Thank you! I couldn’t agree with you more on the importance of building self esteem. This is such a lovely, inspiring post. I love the sentiment behind it, but your activities are so practical too. My little one is only two and not yet able to verbalise any confidence issues, but nonetheless it’s something I always have at the back of my mind. 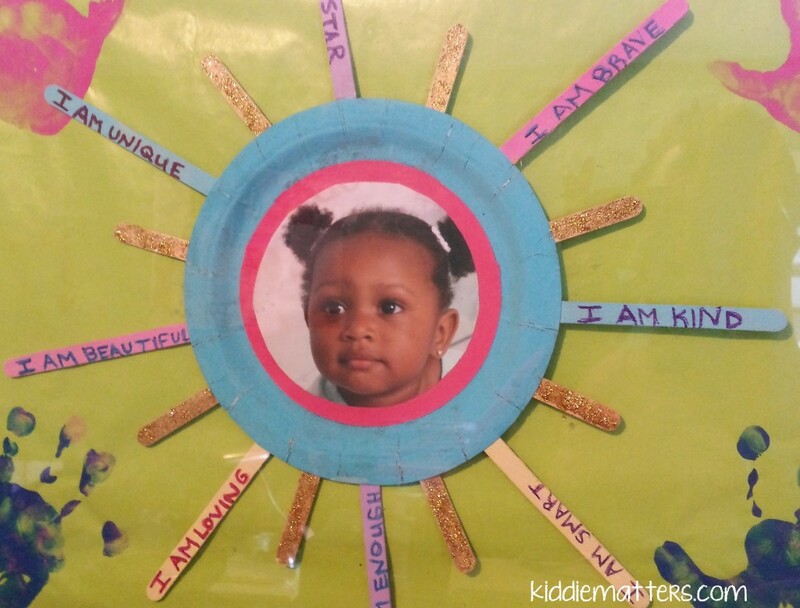 Your self-esteem sun is great, I might do a simplified version with my son, just because! One thing I remember from my own childhood is being encouraged to learn something new (never forced or even pressured, of course), because mastering a new skill on your own is such a confidence boost on its own. Thank you! I love the idea of encouraging them to learn a new skill. This was one of the first suggestions youngest son’s teacher gave when he refused to talk at school. We signed him up for Boys Scout and soccer. Initially he was shy, but once he knew what to do and got comfortable with the other kids, he started to open up. I agree with you 100% that mastering a new skill is one of the BEST confidence boosters. I have loved this post and featured you on my pick of the week for The Ultimate Party on G+. I have used your photo. I hope you don’t mind and linked back to you. Have a great weekend. Thanks so much for the feature and I don’t mind you using the picture. Thanks for hosting The Ultimate Party! I want to make a book of affirmations! What a GREAT idea! I shared this post, so important! 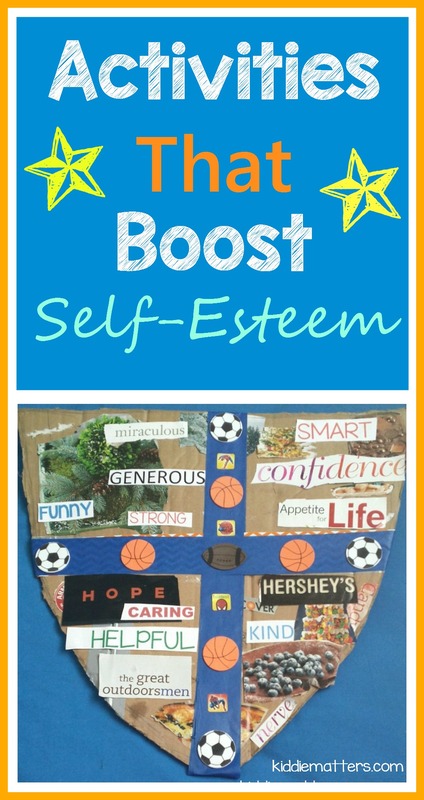 Great post and craft idea to build self esteem! Thank you Nina. I’m all for making kids feel good about themselves! I just found this post through Pinterest and I had to comment. I know you aren’t doing this for yourself, but from one mom to another, you are amazing and obviously care so deeply. Thank you for inspiring me to sit down with my kids (9 and 11…tough years!) and make self esteem boosting an activity. I always tell them things I admire in them, but this is such a wonderful way for them to come back to something and visualize their strengths. Thank you. Imagine if we all had parents who sat down and talked about how special we are. Great post.